It’s the wedding and event season. There are so many Weddings, Graduations, Bridal and Baby Showers, so we have a big demand on fun place cards for big parties and small functions alike. 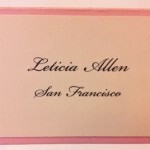 Here is an example of some of the colorful place cards we carry in our store at Hyegraph Embarcadero in San Francisco. 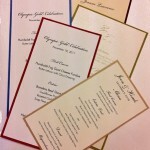 The above place cards are high quality with vibrant colors made in Belgium. 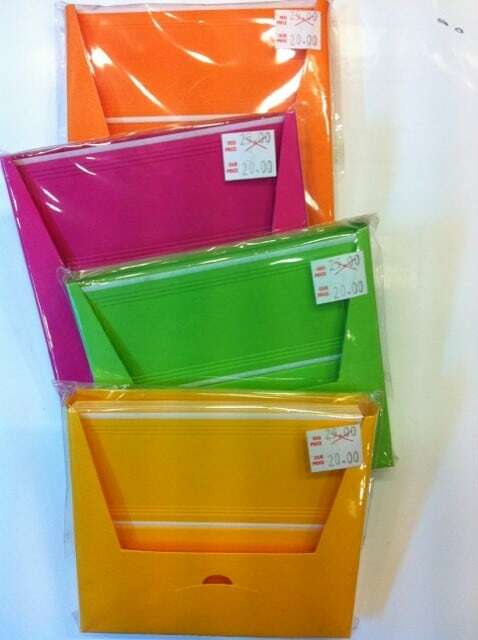 These packs come in quantity of 25, the cost is $20.00. These colorful place cards make a great accent to your seating and serve as a functional peace directing your guests to the right table. If you’d like us to print your place cards with Hyegraph Digital Calligraphy please see our Calligraphy Page for prices, turnaround time and ordering instructions. You may come in to pick up your place cards or we can mail them to you!